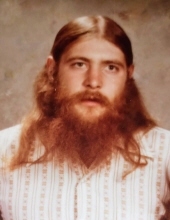 James H. Michael, 66, formerly of Fairfield, PA died Friday morning, April 12, 2019 at Transitions Healthcare, Gettysburg, PA, after years of disability from Parkinson's and diabetes complications. Born November 30, 1952 in Hanover, PA he was the son of the late Fred and Darlene (Kime) Michael. Jim was a Veteran of the United States Navy, he was a member of the Fairfield Amvets, and loved riding Harley Davidson motorcycles. He is survived by his daughter, Kara Kyle and her husband Mike, of State College, PA, his aunts, Betty Hoke, of Spring Grove, PA, Kathleen Orner and partner Raymond Dubbs, of New Oxford, PA, Nancy Wenschhof and husband Clyde, of Fairfield, PA, and his devoted friend, Frank Bowling, of Fairfield, PA.
Funeral services, being handled by the Monahan Funeral Home, will be private and at the convenience of the family. "Email Address" would like to share the life celebration of James H. Michael. Click on the "link" to go to share a favorite memory or leave a condolence message for the family.